Styled with zola short . Work's over. Put on a cute top already. 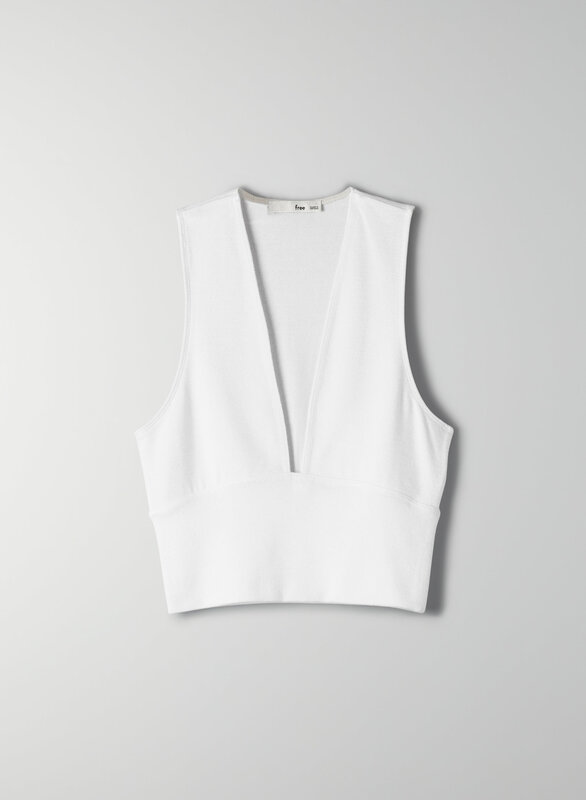 This is a cropped V-neck top. It's made with Wilfred Free's signature Reposa™ fabric, a soft jersey knit that hugs your body.